When will be When Kids Kill next episode air date? Is When Kids Kill renewed or cancelled? Where to countdown When Kids Kill air dates? Is When Kids Kill worth watching? 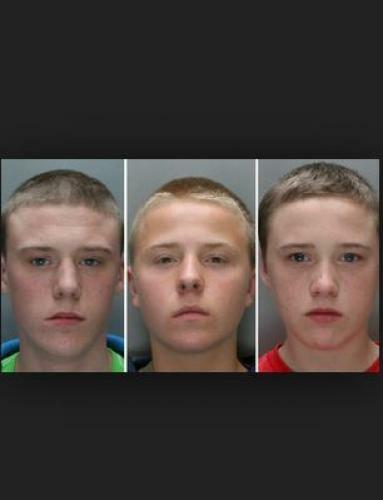 Documentary series with Leah Green, exploring the stories of Britain's most high-profile child killers. Trainee accountant Stuart Harling was obsessed with an ultra-violent video game, and in 2006 he stabbed nurse Cheryl Moss 70 times. A-level student Steven Miles watched nothing but 'Dexter', and in 2014 he dismembered his girlfriend. Aaron Roach Bridgeman speaks to experts who were associated with the cases. Can any connection be proven between extertainment and action? Aaron Roach Bridgeman looks at the case of 17-year-old Marcel Addai, who was cruelly chased down and murdered by members of a rival gang after an ongoing rap video feud. Aaron Roach Bridgeman looks at the cases of Hannah Windsor and Melissa Mathieson, both murdered by fellow care home residents. Can mental health conditions be a defence for murder? Aaron Roach Bridgeman explores court restrictions and anonymity orders placed on child murders, meaning the media cannot name perpetrators until the age of 18, through the murders of Elizabeth Edwards and Angela Wrightson. When Kids Kill next episode air date provides TVMaze for you. EpisoDate.com is your TV show guide to Countdown When Kids Kill Episode Air Dates and to stay in touch with When Kids Kill next episode Air Date and your others favorite TV Shows. Add the shows you like to a "Watchlist" and let the site take it from there.